Scottish Rite membership is open to all Master Masons in good standing with their Symbolic or Blue Lodge, who wish to expand their understanding of the teachings found in the first three Degrees of Masonry. During your initiation the lessons (allegories) of the degrees 4° through 32° are dramatically presented to bring important and timeless lessons into your life. You observe theatrical performances of the degrees. There is no memory work required. 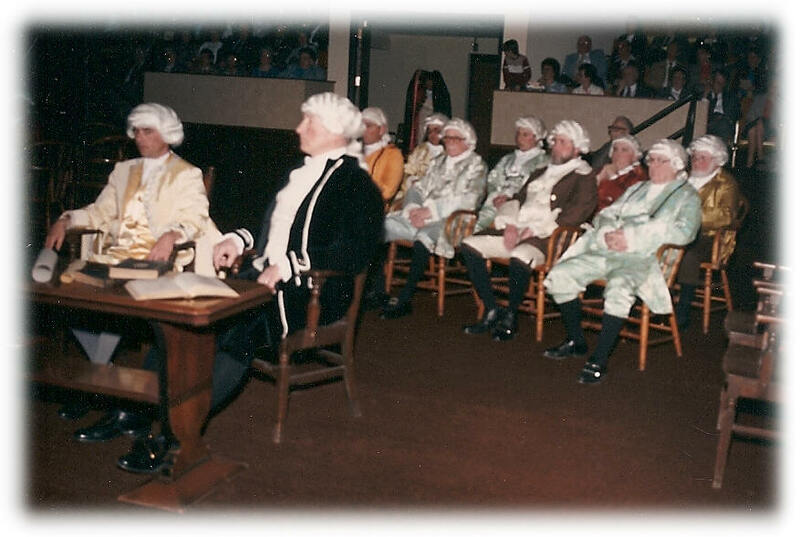 The Scottish Rite degrees are generally dramatized for candidates two times a year – during Scottish Rite “Reunions” which are held each Spring and Fall. Reunions conclude with a banquet where you and your lady will enjoy the fellowship of the men who shared the Scottish Rite initiation experience as you, and with many new friends… men and women… who are waiting to meet you and to welcome you to the organization. Additionally, each year, Scottish Rite officers plan events and activities designed to involve Mason’s and his family. The Valley sponsors a wide variety of social activities for you and your lady throughout the year – and there are activities for your children to enjoy, too! Once you are a Scottish Rite Mason, you can avail yourself of numerous opportunities for personal growth You may join our degree teams and work to pass the lessons you have learned from our degrees on to new generations of men. Any member may choose to help us to stage our degrees. You may develop your talents in stagecraft, acting, music, makeup, lighting, costumes or sound engineering…just to name a few. You may prefer to get involved in managing the organization, chairing or serving on committees, leading one of Scottish Rite’s many charitable, recreational or educational projects, or just enjoying your participation as a member. Whatever you choose, you’ll be associating with men who enjoy sharing their skills with others, working together toward common goals, and making this world a better place because they willingly worked to improve it. Please accept our invitation to petition the Ancient Accepted Scottish Rite, Valley of Green Bay today!